These shoes are the best off-trail shoes I have ever run in. That’s a statement with some meaning. There are a lot of off-trail shoes out there, all with various pros and cons. I suppose I should also explain that what I mean by off-trail is fairly extreme -as an orienteer, I expect a lot out of my shoes. They need to be grippy on bare rock; they need to give me traction on steep wet slopes, both bare of vegetation and when covered with a thick layer of dry oak leaves; they need to withstand being dragged through thorns, brambles, and dense woody vegetation; they need to be low-cut enough that I can run like a deer on side-hills, but high-cut enough that they stay on my feet slogging through marshes; they need to have a low wet-weight after I run through said marshes; they need to have some support from pointy rocks and gravel; they need to be flexible enough so that I’m not working against the shoe when I run; they need to be light enough that I don’t notice them on my feet; above all, they need to be comfortable for hours upon hours of training and racing in the roughest terrain you can imagine. It’s a lot to ask of a single pair of shoes. 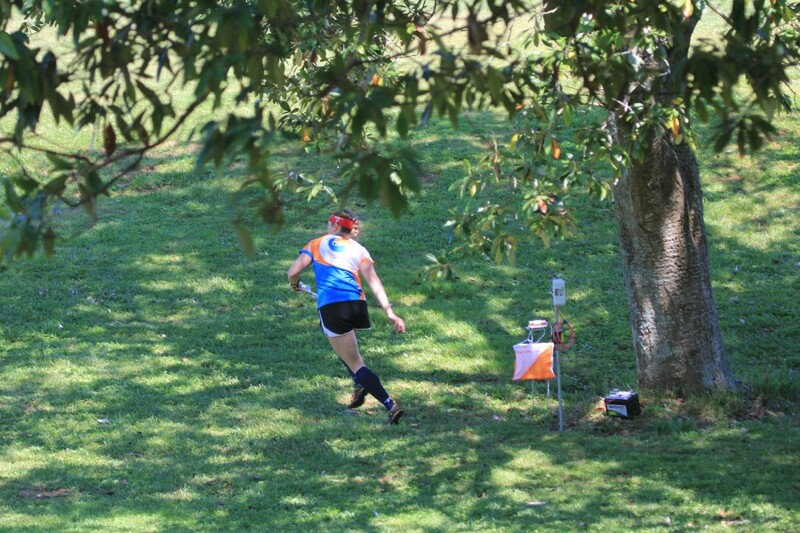 Orienteering is an awesome sport. It’s a cross country running race, only you don’t know the course until you get the map at the start. At that point, you need to be moving as fast as possible in the right direction, through any terrain the course setter throws at you, and your brain is so focused on the navigation that you can’t afford to waste a single thought for footwear. This is why the right shoes matter so much. Moving efficiently through the forest is as important as going in the right direction. No wasted energy. Seconds matter, because you’re racing the clock. It’s an awesome stimulant. When I first tried the X-talon212s, I was nervous to take them into truly tough terrain. They felt so light and delicate; I wasn’t sure they’d be up to the challenge. I was also worried that without metal studs, the shoes wouldn’t grip enough to get up the hills. But there was nothing to worry about -these shoes are great! The first thing I noticed about them was the weight. This was as close as I’d ever get to growing lugs out of the bottom of my own feet. And despite that, I didn’t have a problem crossing rocky ground at full tilt. The only answer is that there is some deep black magic going on here. My current pair is somewhere around 380 off-trail miles, and the uppers still haven’t fallen apart, so they’re more durable than I would have guessed. The next thing I noticed about the X-talons is their stickiness on rock. I can scale cliffs in these shoes -just run right up, with complete confidence in my shoe. This has made a huge difference in trail racing, too. 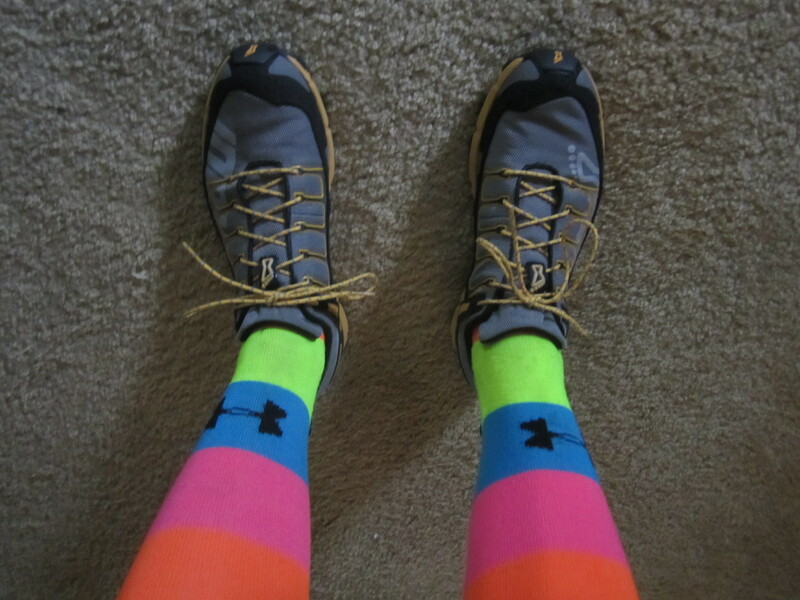 I won an obscenely technical trail race a few weeks ago, primarily because I had the best shoes in the field. Side note -I recently watched an episode of Planet Earth, and there was footage of a snow leopard hunting a baby mountain goat, and they were basically tumbling down the side of a Himalayan mountain in freefall, but were completely in control -that’s how I felt in this trail race. I was the snow leopard, not the goat, for reference. Let’s talk about shoe laces. Usually, I don’t think too much about my shoe laces. I’m good at tying knots, and I tape up the ends before I orienteer, anyway, and that generally keeps them tied. But the X-talons have round laces, made from what feels like an indestructible weave. No snags on these laces. There are also little nubs on the laces, that help sort of lock them in place. I like this. I haven’t had to use tape yet, especially when I tie my laces with the “swedish knot”. It’s a nice touch. Little things matter. As for the fit, I’m a fan. I have a fairly wide toe area, with a narrow heel. These shoes are narrow the whole way down. At first I was nervous, but it turns out that the narrowness is actually a good thing. Have you ever attempted to run parallel to the contours of a hill, so you’re running along the side of the hill, trying to make full speed ahead? This is when you really want a minimalist shoe. A typical sneaker, with its wide, supportive sole, will make it more likely to twist your ankle as you awkwardly hustle sideways along a hill. Your foot will also slide back and forth within the sneaker. That’s bad! For side-hilling, I want a shoe that is only as wide as my foot, no wider, and I don’t want *any* sole sticking out from the bottom. I also really don’t want any heel lift, because that also makes it more likely to twist an ankle. The X-talons hit on all those points perfectly. A bare foot with aggressive lugs. Check! *Not an issue for most days, but if you live somewhere it rains a lot, go for the Oroc280… review coming! All in all, these are fantastic orienteering shoes. The light weight makes up for the lack of metal studs, but if you know that your orienteering terrain will include a lot of downed wet logs, you may want to go for a pair of shoes with metal studs, because the rubber offers little traction there. I still wear the X-Talons regardless of the weather. And it’s not just me -these shoes have multiple World Championships titles to their name! So for your next orienteering shoe -pick up a pair of X-Talons. Easy decision!